May! 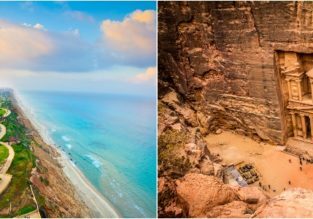 Cyprus getaway: 7 nights at top rated aparthotel & flights from Berlin for €133! MEGA TRIP from Germany for €99! 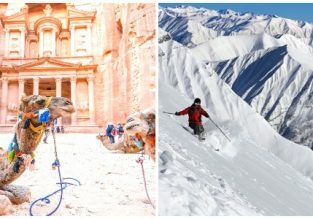 Visit Porto, Azores, Lisbon, Rome, Aqaba (Petra), Eilat, Vienna, Kutaisi (Georgia), London and Marrakech! June! Cyprus getaway: 7 nights at top rated aparthotel & flights from Berlin for €144! 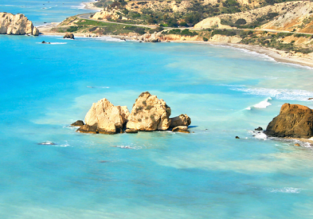 JUNE: 7 nights at well-rated aparthotel in Cyprus +cheap flights from Berlin for only €172! 7 in 1 trip from Germany for €135! Visit Mykonos, Athens, Crete, Paphos, Amman, Tel Aviv and Burgas (Black Sea)! Amazing trip to Greece, Middle East and Black Sea! Visit Mykonos, Athens, Crete, Paphos, Amman, Tel Aviv and Burgas departing from Frankfurt and returning to Frankfurt Hahn for only €135! 7 nights at well-rated hotel on Cyprus + flights from Berlin for only €119! Cyprus break! 4 nights at well-rated hotel + flights from Berlin for only €77! SUMMER: 7 nights at 4* hotel in Cyprus + flights from Stuttgart for just €166! 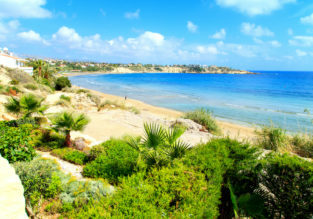 Cyprus package holiday: 7 night half board stay at 4* beach hotel + flights from Germany for €252! Head south to sunny Mediterranean! Flights from Germany to Cyprus and 7-night half board stay at 4* hotel from only €252 per person (based on booking for 2 adults)! 7-night stay in 4* beachfront resort in Cyprus with breakfast + flights from Germany for just €135!